Globalrez Ducted Air Conditioning Sydney. 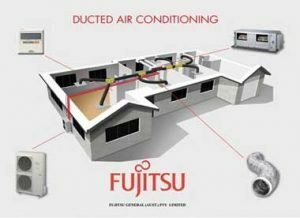 We are pioneers in the sphere of conferring quality Ducted air conditioning in Sydney, Australia. We love what we do that is how you will find enthusiasm in our work. GlobalRez is the company laced with modern equipment’s and certified AC technicians who are willing to get the job done at any cost. Enjoy the comfort of discrete air across all the angles of your home with air conditioners. Make all the corners of your house just outstanding with the cool air breeze in summers and cozy zephyr in winters. At GlobalRez, we offer an ultimate place to buy ducted air conditioning in Sydney. The units can be installed indoors or outdoors at any residential and commercial locations. Read more. 60 month interest free Interest free offer only available on ducted aircon packages . Ducted packages fully installed all With 5 years parts & labour warranty. We stop at no less than the highest standard of workmanship and customer satisfaction. 100% customer satisfaction is something that we committed to. A quality we deliver is the best in the category. We never compromise with the quality which is the best part of Globalrez. Your time is most important to us and we strive to complete jobs in a within the time frame given to us. We understand business requirement and importance of time. We are committed to on-time delivery. Delivering on time is not only our commitment but also it is a habit. We are passionate about what our team does and Customer Service is paramount to us at GlobalRez. Our dedicated customer support team is ready to serve you whenever you need. Our team is not working to just complete their job, they are working as they are passionate to work. When it comes to provide emphatic & veteran air-condition solutions for commercial buildings GlobalRez sparks in the eyes of our clients When it comes to provide emphatic & veteran air-condition solutions for commercial buildings GlobalRez sparks in the eyes of our clients. Form last 15 years we have successfully installed diverse air conditioning units in colleges, shopping malls, corporate buildings, churches, resultants, hotels, motels, schools and many more. We are capable of designing suitable as well as beautiful air conditioning solutions for your heating & cooling needs in an efficient & effective manner. At GlobalRez, you can find the best team of professionals who are capable of installing any kind of brands and models of air conditioners. We are the best air conditioning service providers all over the Sydney. It is our primary motive to serve our clientele optimum quality air conditioner installation services that will confer comfort and satisfaction. we use only the highest quality materials and reputed brands in our process of providing the best services to our customers, so your investment will be the durable one, which you can enjoy for many years. We offer free consultation services to the clients before providing quotes for air conditioning. Globalrez can supply and install in Sydney, Wollongong, Central Coast and now in Sunshine Coast. We listen to the requirements of our valuable customers and provide customized and accurate solutions thereafter. We are not just restricted to residential arena; in fact we serve corporate buildings, community buildings, restaurants, banquets, community buildings and other set-ups. We also offer air conditioning post sales solutions to help our customers stay happy and satisfied with our services. Comprehensive package of services right from consultation and site analysis to installation and management are provided at a very reasonable price; within your budget. Customized climate control solutions for large setups are also offered considering all associated factors before- hand. All our workmen bring professionalism with them to any job, whether it is big or small. Not only do we ensure experience, but we also give it at a market competitive price. We employ one the most experienced of workmen and staff out there to ensure that your job is done on time, hassle free, to the highest standards and in compliance with Work Health and Safety. We employ all types of new and efficient tools and supplies according to the work needed.